The California State University board of trustees has named Lynnette Zelezny as the next president of California State University, Bakersfield. When she takes office as the fifth permanent president of the Bakersfield campus in June, she will be the first woman to serve as president. California State University, Bakersfield enrolls about 8,200 undergraduate students and more than 1,100 graduate students according to the latest data supplied to the U.S. Department of Education. Women make up 60 percent of the undergraduate student body. 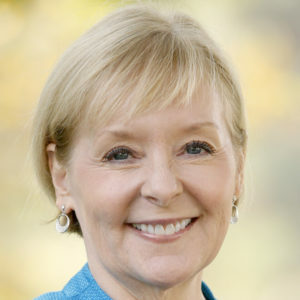 Dr. Zelezny currently serves as provost and vice president for academic affairs at Fresno State University in California. She has served in that role since 2014. Dr. Zelezny joined the psychology department faculty at Fresno State in 1988. Professor Zelezny earned bachelor’s and master’s degrees in psychology from Humboldt State University in Arcata, California. She holds an MBA from Fresno State University and a Ph.D. in applied social psychology from Claremont Graduate University in California.